For the average-sized user, these lift chairs should suit your body size nicely. Based on manufacturer suggestions, we recommend these medium-sized lift chairs for people from 5' 4" to 5' 10" tall. Products on this page are sorted in order of ascending price. If you have additional questions or concerns about any product you see on our site, you can reach us by phone at 1 (800) 880-2514 or contact us immediately via email. Just a tremendous value all around. A great chair, a great price, and a great warranty. Maximum Recommended Height: 5' 8"
Highlights: A price that can't be beat. Minimum Recommended Height: 5' 2"
Highlights: Lowest price of any Golden lift chair. 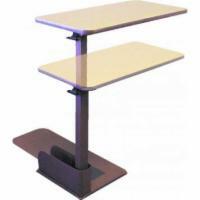 Highlights: Lowest price of any Golden 3 position lift chair. 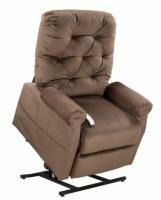 This is the best price you'll find on today's market for a lift chair with built-in heat and massage! An incredible value that is perfect for medium sized users! 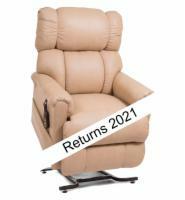 Highlights: Comfortable split back cushions, 3 position recline, and a 375 lb. weight capacity. 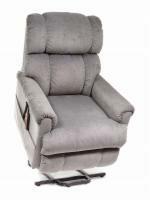 Highlights: Golden's most popular lift chair in a medium size. Highlights: An all-around favorite and best value from Pride. 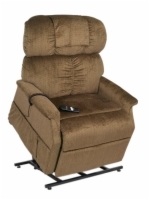 Highlights: Golden's most affordable infinite position lift chair in a medium size.